It's 02:02 in Roseburg, USA right now. 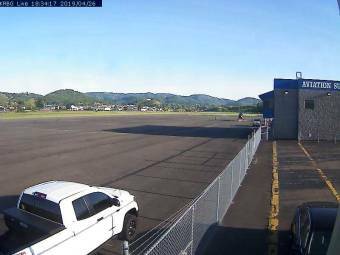 Roseburg Regional Airport A webcam in Roseburg, Oregon with image archive, weather data and timelapse videos. Elkton, Oregon: ORE38 at Elkton, 31.2 miles away. Coos Bay, Oregon: View of the Coos Bay, 45.3 miles away. Grants Pass, Oregon: Grants Pass Weathercams, 53.7 miles away. Springfield, Oregon: Springfield Weathercam, 59.5 miles away. Medford, Oregon: Medford Weathercam, 65.9 miles away. Applegate, Oregon: Tallowbox Mountain, 66.9 miles away. Chemult, Oregon: US97 at Chemult, 78.5 miles away. Lake of the Woods, Oregon: ORE140 at Lake of the Woods, 81.4 miles away.